Formerly an organ scholar at St Andrews University, Mark Spalding is a musician and visual arts worker resident in rural Angus. 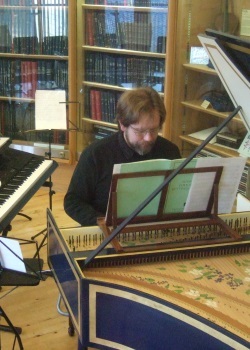 He is a solo recitalist on organ and piano, having played a repertoire from the middle ages to the present day at the Edinburgh Fringe, Dundee WestFest and Schott's Music Shop, as well as throughout Scotland; his instrumentarium also includes harpsichord, melodica and stylophone. 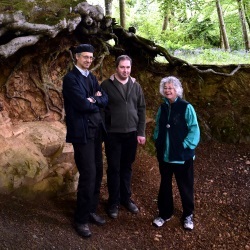 Current projects include performing and recording the piano music of Arbroath-born composer Morris Pert; and in 2015, a yearlong multi-instrumental project marking the 40th anniversary of Tierkreis by Karlheinz Stockhausen. He has premiered pieces by composers including Iain Matheson, Marc Yeats and Michael Bonaventure – a number of these works being written in memory of Morris Pert.